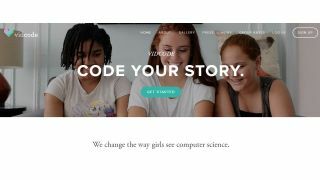 Vidcode aims to get teen girls excited about coding by emphasizing creativity and social media culture and expression. Pros: Allows for quick creation, using girls' own photos and videos for built-in engagement and a personal touch. Cons: Videos take a while to upload, and there's an assumption of some prior knowledge of coding without much introductory help. Bottom Line: Learn-to-code programs for youths often too narrowly define what can be done with code; Vidcode expands the options, helping girls see code's value in culture and express themselves.